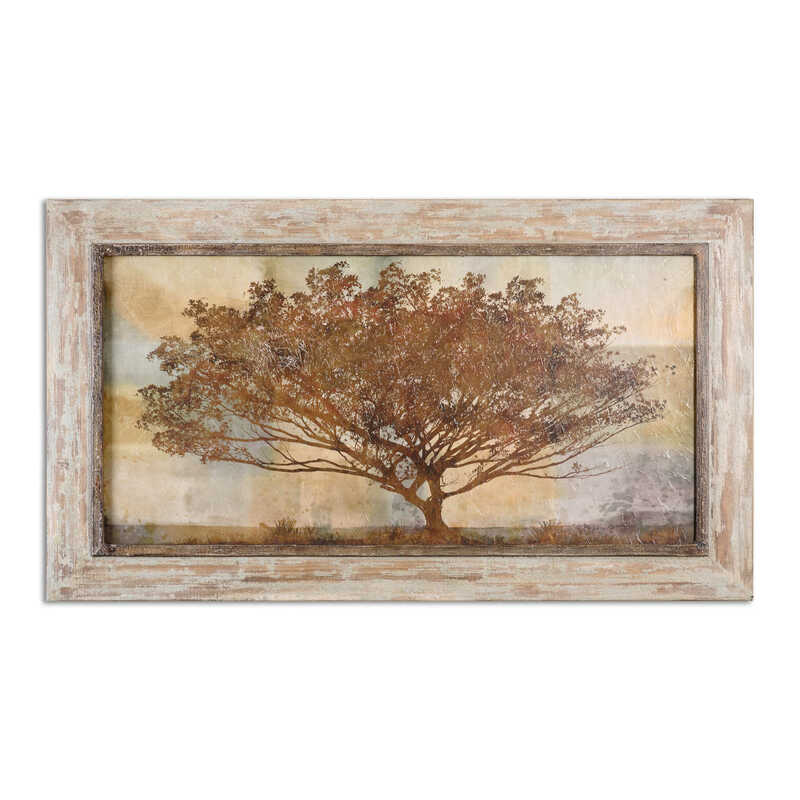 Reminiscent of the African Marula tree, this oil reproduction features a hand applied brushstroke finish. Light gray and slate blue shades are highlighted by various sepia tones in this landscape artwork. 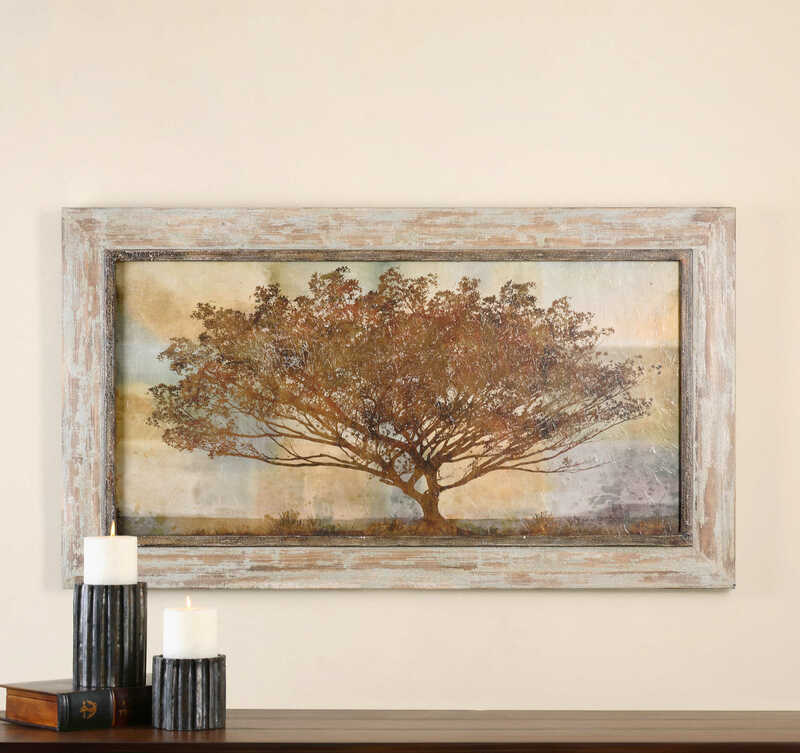 The frame resembles reclaimed wood, with light wood undertones, a pale blue-gray and taupe paint, and an all over gray wash. The inner lip is raised and has a distressed, dark brown wood undertone.